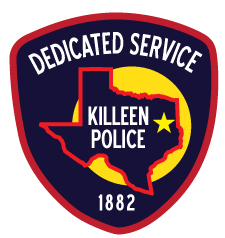 The Killeen Police Department Special Victims Unit has been conducting an investigation into the allegations made by a 7 year old child. A warrant for arrest was issued on October 18, 2017. Williams may be driving a black in color Nissan Sentra with the Texas license plate of JVW1488. Williams is known to frequently travel between Killeen and Lubbock. Any information regarding the whereabouts of Williams can be reported to the Killeen Police Department or the Bell County Crime Stoppers tip line. Any tips submitted through the Bell County Crime Stoppers tip line that lead to an arrest may be subject to a cash reward. The suspect is now in custody at the Bell County Jail. The Killeen Police Department would like to express it’s appreciation for the support of the community, whose cooperation has assisted us in this investigation.